Icon Size: 256x256 to 32x32. Creation date: 17 July - 21 October 2009. 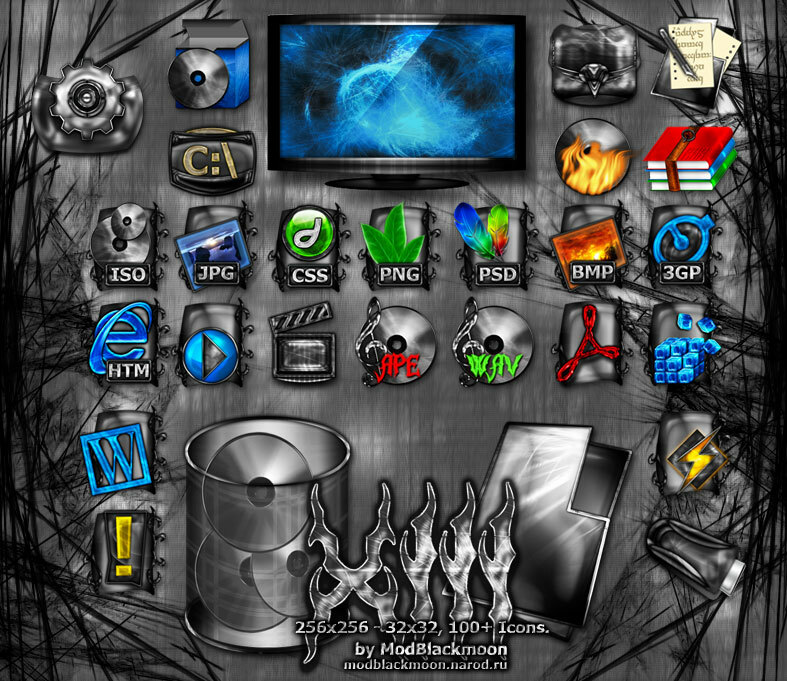 All icons rescaled manually, small icons sharpened. Small and large icons have different shadows. Some icons looks like in my previous IP, but it's just same style, re-drawn in higher quality and more details - all icons are new. very wikked set mod.......im a sucker for dark stuff just like you. thanks guys. that was a big work, i'm happy that u like it. Nice Set There ModBlackmoon !!!!!! These are awesome. Great job man!